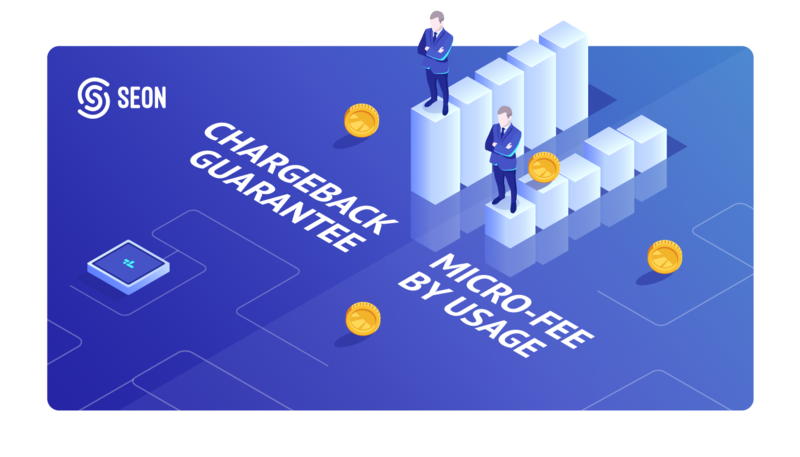 Micro Fees vs Chargeback Guarantee - How you should pay? Micro Fees Vs Chargeback Guarantee- How Should You Pay For Fraud Prevention? One question fraud managers get consistently asked: are we certain our fraud prevention tool is the right one? More often than not, it has to do with the budget. So today, we’ll compare different pricing methods to help you select one that makes sense for your business. While fraud prevention comes in all shapes and sizes, two models tend to be favoured by vendors: micro fees and chargeback guarantee. We’ll describe them in detail and weigh their pros and cons to see which one should work for you. Every online business knows chargebacks are a pain. Disputes regarding credit card purchases are time-consuming, sometimes complex, and incredibly costly. Which is why a fraud prevention vendor that claims to take care of the fees may seem ideal. In short, you are not only relieved of the expenses, but also the stress associated with it. At least on paper…. One of the biggest flaws in the chargeback guarantee model amounts to a conflict of interest. 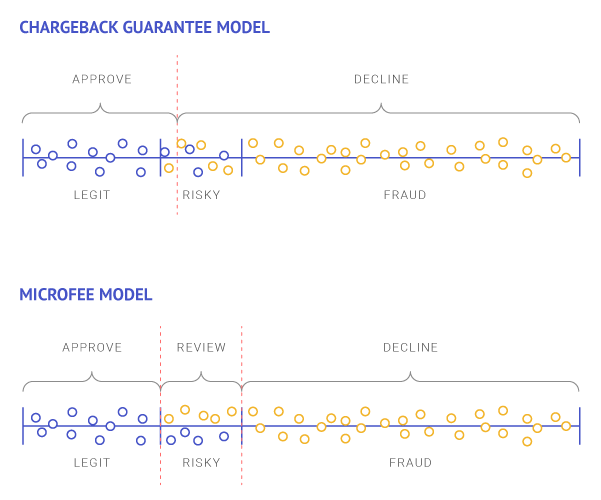 If your fraud prevention vendor spends fortunes refunding chargebacks, they have every incentive to decrease their frequency – even by risking more false positives. Why? Because it is in their interest to decline more payments. Put simply, your vendor could very well calibrate their tool to be highly sensitive to low-risk payments – just to be on the safe side. This means less sales and fewer profits for your company. Not to mention putting the value of your customers at risk in the long term – who would want to go back to a site that keeps declining their legitimate payments? Tied to this problem is one of opacity. Vendors who take control over chargebacks have few reasons to be open about their processes. As you lose insight into the fraud prevention mechanisms that govern your business, you are less likely to learn from your mistakes and understand why fraud happens – or how to fight it effectively. Worried about all of the above? Maybe you’ll want to check out the micro fees model. The name is self-explanatory: you pay a small amount for each transaction checked by the fraud prevention tool. These micro payments can vary depending on the kind of API request, and most vendors will usually offer a sliding scale based on the amount of monthly transactions. However, the average cost per transaction would be around a couple of cents maximum. This is why it’s the preferred model for high-risk merchants and payment service providers. The obvious point – in direct opposition to the chargeback guarantee model – is that the fraud prevention vendor has 0 incentive to tweak their system behind the scenes. The payment is entirely based on the size and scale of your business. While it may seem over the top for small businesses, it could end up being cheaper than the alternative. It is also completely transparent, and straightforward. No bad surprises for your budget, and it’s easy to make predictions on your ROI for the fraud prevention tool. Paying through micro fees usually means keeping a fraud prevention team on call. This can be an additional expense, but worth it for managing manual reviews. You cannot just rely on the algorithms to do the job – human intelligence is also necessary. And talking about the system, it will have to be extremely well calibrated. Rules must be properly defined. If the engine isn’t setup properly, you could incur some costs that are hard to justify and slowly eat away at your profits. Conclusion Micro Fees Vs Chargeback Guarantee? As you have probably figured by now, there is no magic bullet when it comes to paying for fraud prevention. If the solution exited, everyone would use the same model. In short, the best solution has a lot to do with your risk aversion and how much you trust the system. Just keep in mind that in fraud prevention, like with any other SaaS, flexibility and scalability is key. You may see noticeable short term benefits in slashing your chargeback rates, but is it really all you should worry about? How about account takeover and friendly fraud and promo abuse? A good fraud solution should let you pay to tackle all the problems at once.